Then I Got To Thinking...: the power of a compliment. You are so right!! 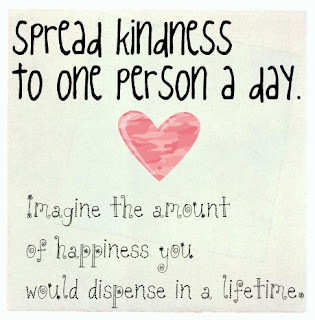 A simple compliment, a little happy, can completely make a person's day!! Have fun on your adventures this weekend!! Love this. Always so classy! I try to exercise this as well - Walmart, the grocery store, shops in the mall, and restaurants....you choose to be as friendly/polite as you are. Have a great weekend with those 2 special ladies. Somethings it's the little things that make us happy! Thanks for sharing! Definitely something we should all try a little harder to do. Thanks for this simple reminder. :) Have a great weekend! I love that picture and my have to borrow it for my blog at somepoint :) Hope you are having a better day! Funny you write about such a thing... I was just feeling the same way the other day. My makeup was going all wrong, etc. and the sweetest girl came up to me and said, "I just love your eyeshadow and mascara today. You look soo pretty." I was like wow! And I know that she's not the kind to lie about such things either. :) Now I make sure to let people know if I like their dress or hair or smile, etc. Oh, by the way, you have a gorgeous smile. No lie. This is so true! One small, kind comment can go a LONG way! Love this post! It's so true about one small thing can make your day! Hope you have a wonderful weekend! Always love reading your blog! Have an amazing weekend girl! You just have NO idea how much I needed this today!! Thank you!! That is so true. Thanks for this post, it's a great reminder. 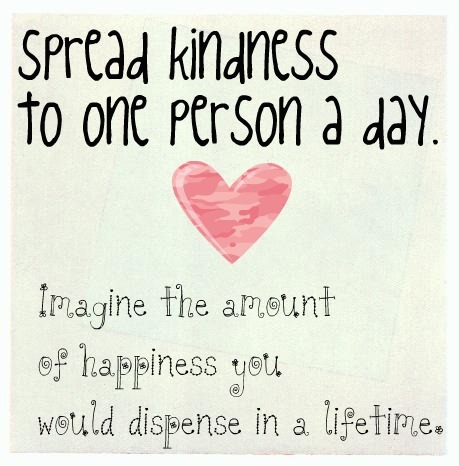 I have a little sign in my guest bathroom that says "Never underestimate the power of a kind word or deed." YOU ARE SO RIGHT! I love this. I wish more people were as quick to make a nice comment as they are to be mean. Spread the LOVE! Happy Weekend to yOU! I could not agree more! Spreading the love, especially when it’s genuine means so much. I was always taught to try to be positive and caring. I even find myself giving complete strangers compliments if they’re wearing a cute bracelet or something. Have a great time celebrating your sister's birthday! You are so right and those little words can impact someone at JUST the right time! Well put girl, LOVE your positive attitude, I too try to cheer people up with a positive comment. Glad someone was able to cheer yours up too. Hope you have a great V-Day tomorrow. I could not agree more - love this!